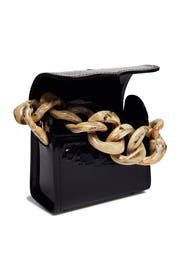 A chunky acrylic chain defines this sleek statement bag by Marques' Almeida Handbags. 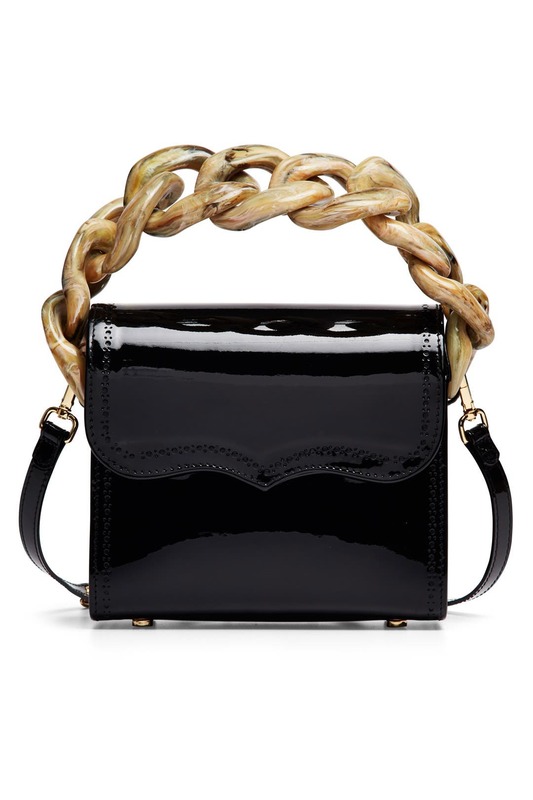 Black patent leather handbag with magnetic foldover closure. Protective metal feet and acrylic chain detailing. Optional crossbody strap. 7.9"W x 7.5"H x 4"D.